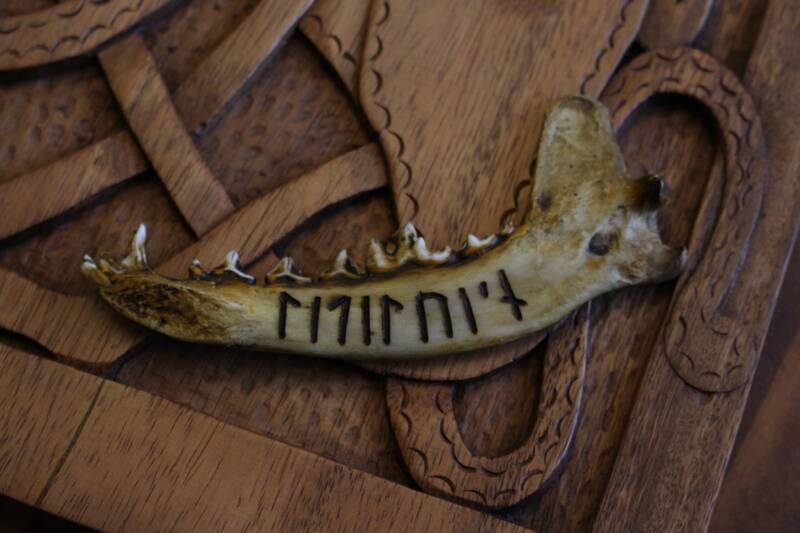 These hand crafted viking bone runes are made from the jaw of a Coyote. This inscription is younger futhark and was hand carved on the famous Oseberg ship which is considered to be the wealthiest viking age grave uncovered yet. The carving directly translates to "man knows little" which has inspired a lot of debates on what the intention of this carving was, perhaps a warning? perhaps it had to do with afterlife..
Around 5 and 1/2 inches long. 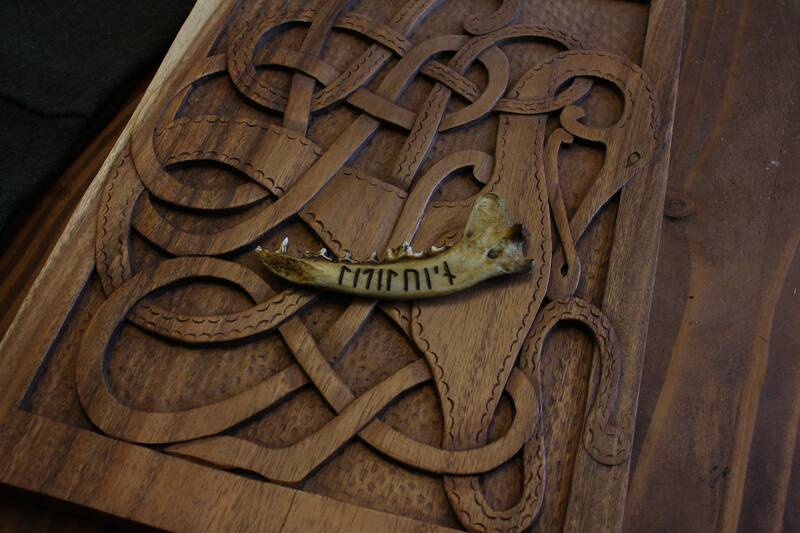 If you are looking for other authentic viking or medieval stuff check out my shop. 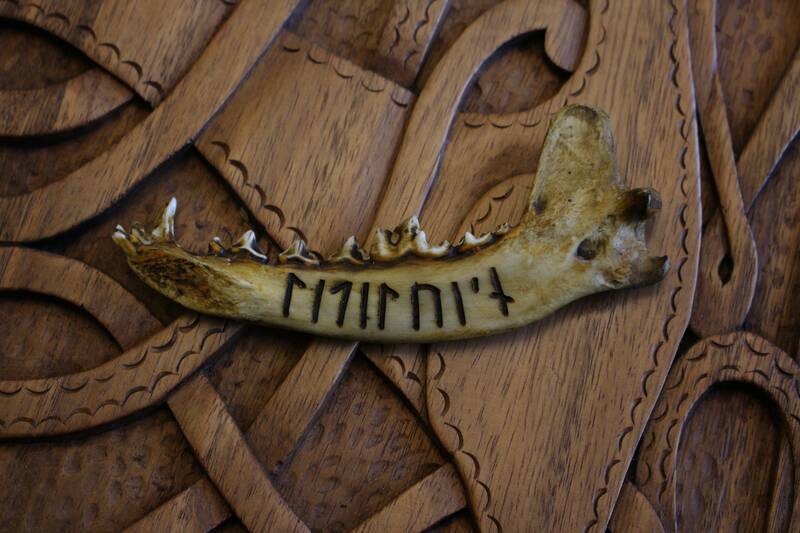 truth saying bone in ancient script. primal. Was offered the chance to have this stained to match a skull I bought, and I couldn't be happier with the results! I am in love with this piece. My husband is going to love it!